until it was time to leave the house. 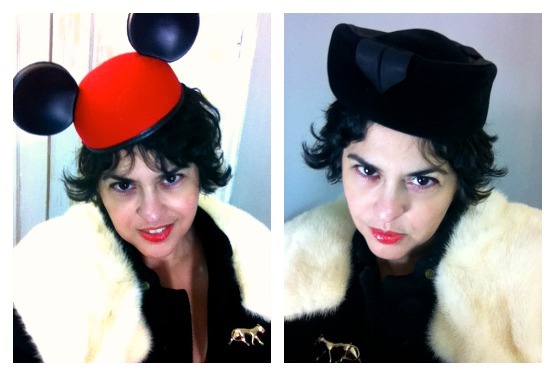 Then, I quickly changed the mouse ears out for a vintage black wool pillbox, a purr-fect companion to this gorgeous vintage wool coat with a soft white mink collar. #SECONDHANDFIRST: 90% thrifted. 100% purr-sonal style. 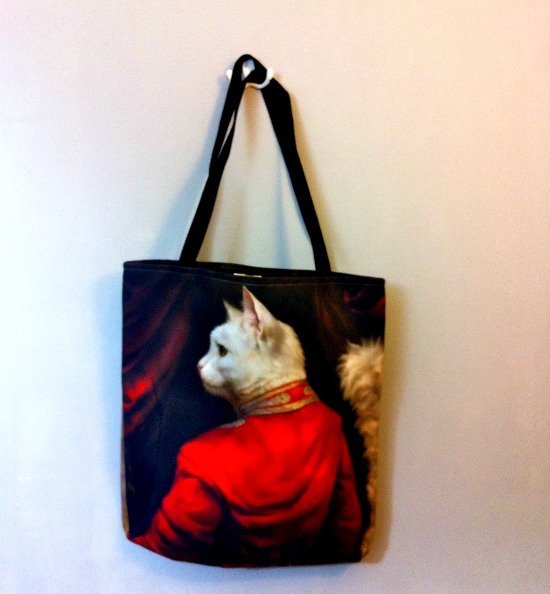 Which went purr-fectly with my brassy panther brooch (available here) and my new cotton cat tote, a large canvas bag from Redbubble, with an original artist designed image of a aristocratic cat, royally rocking a red coat. Doncha just lurve it? I certainly do- and I love that it's just one more element to express my personal style. 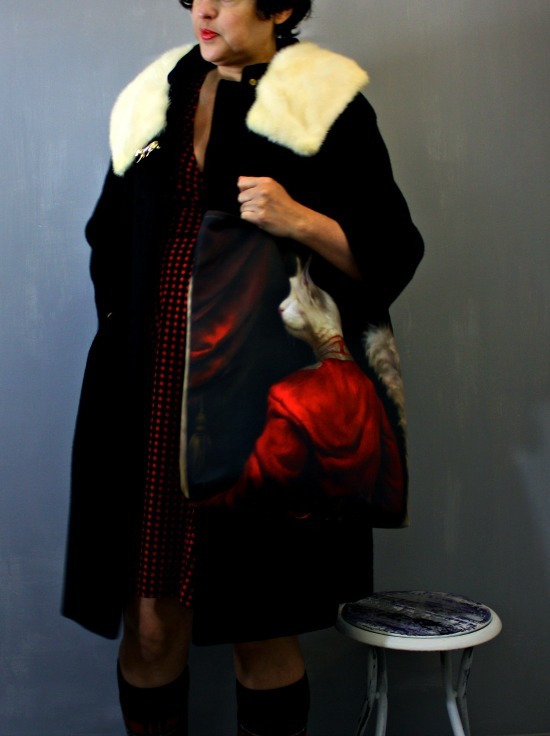 I've been in the mood for a pile on of red and black, and some funky dressing with loads of vintage elements. This little outfit fit the bill, which, to be honest, wouldn't get any high fashion marks on Vogue, but it was one I felt very comfortable wearing. 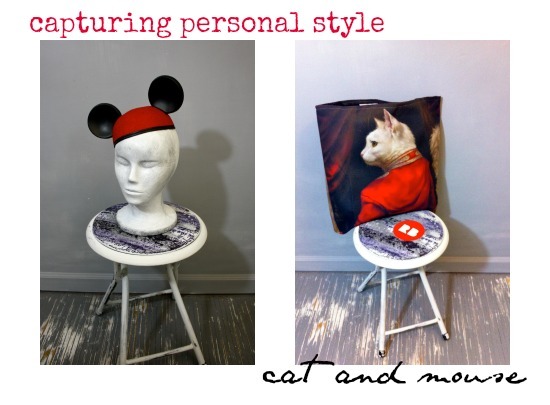 Which is kind of what dressing up is all about for me, being true to my personal style, feeling playful, and having some sartorial fun, whether it be inspired by cat or mouse. Hello, We're RedBubble from Redbubble on Vimeo. DISCLOSURE: Some of the hyper-links above contain affiliate links, and any sales resulting from a click may result in a commission for the Citizen Rosebud. The tote bag was courtesy of Red Bubble in exchange for a blog mention and courtesy link. The good opinion however, is 100% our own.